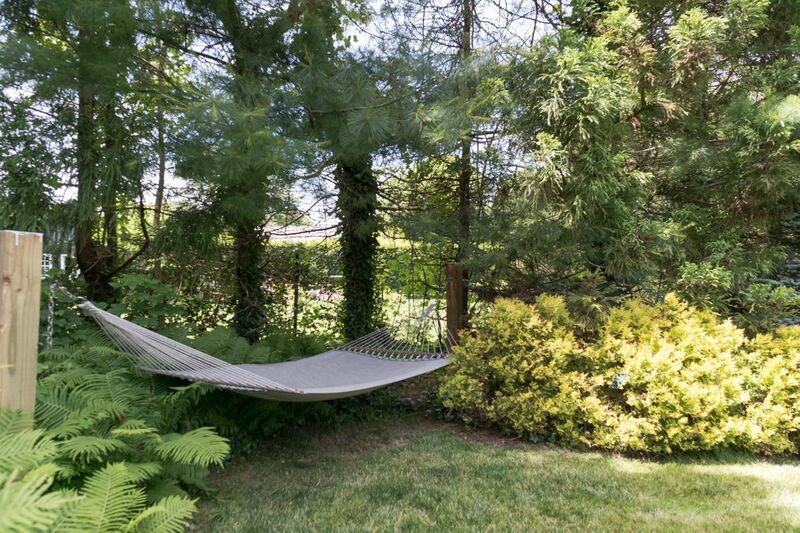 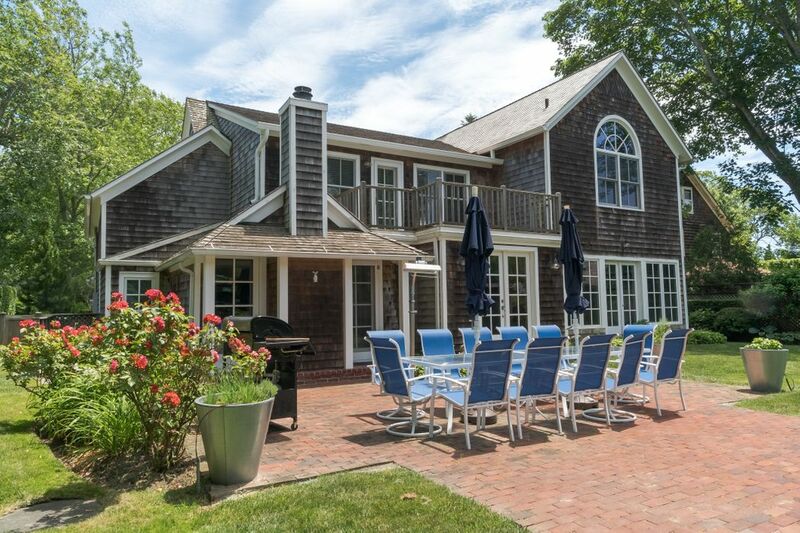 Summer Oasis in East Hampton Village East Hampton, NY 11937 | Sotheby's International Realty, Inc.
4 Bedrooms4 Full / 2 Partial Baths3,500 sq. 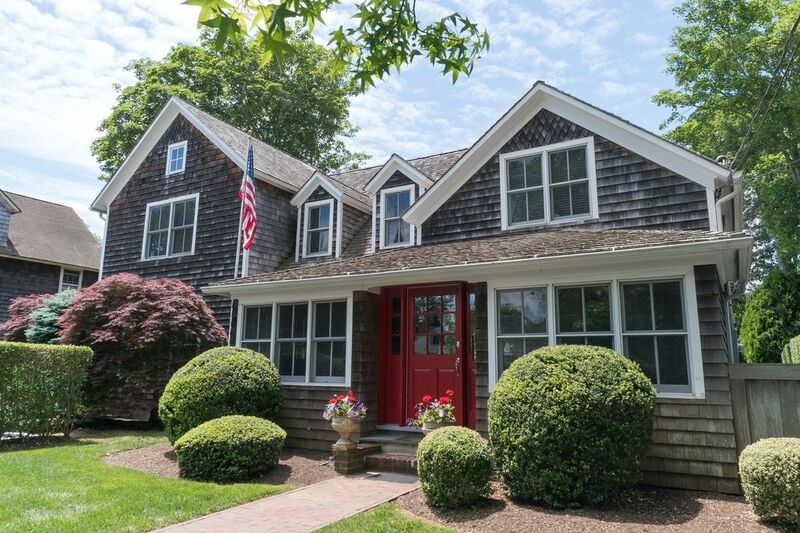 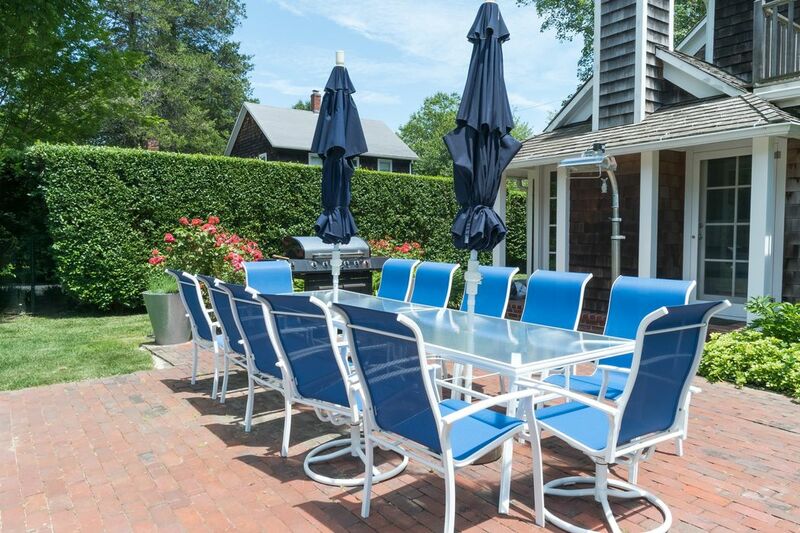 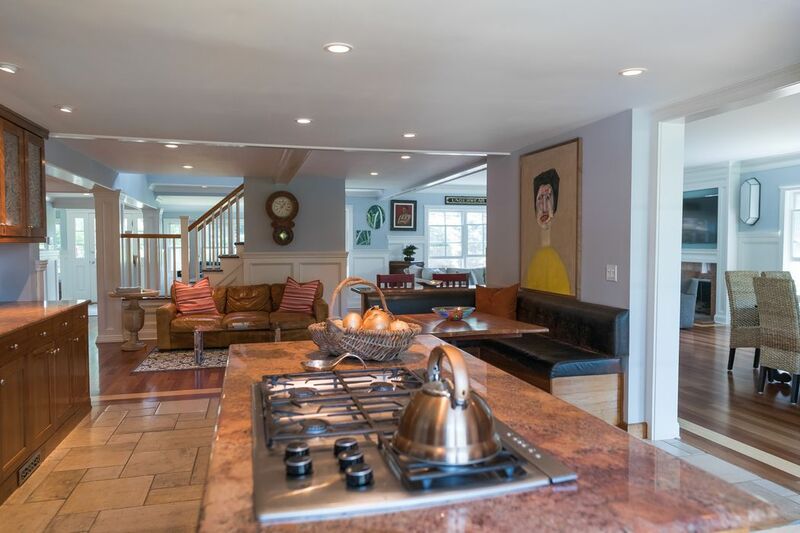 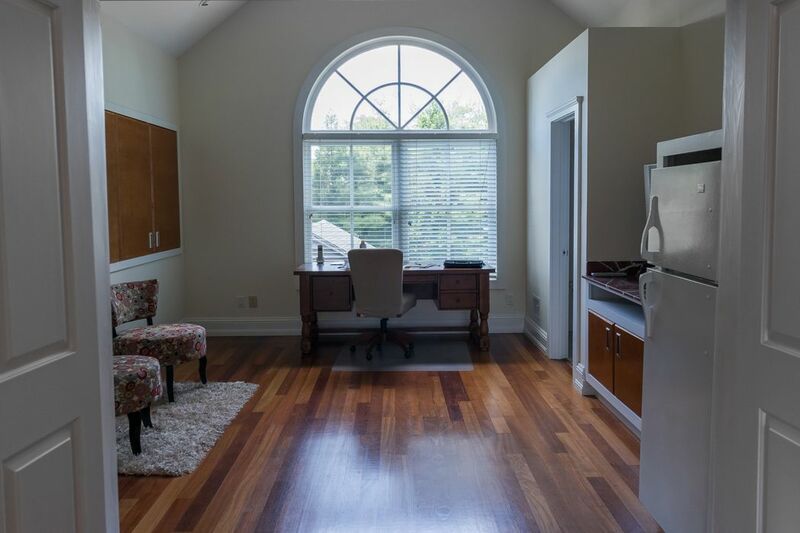 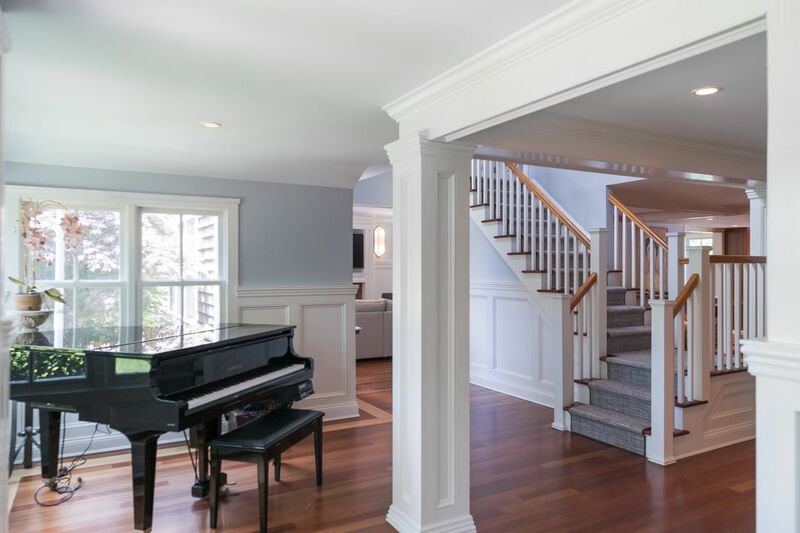 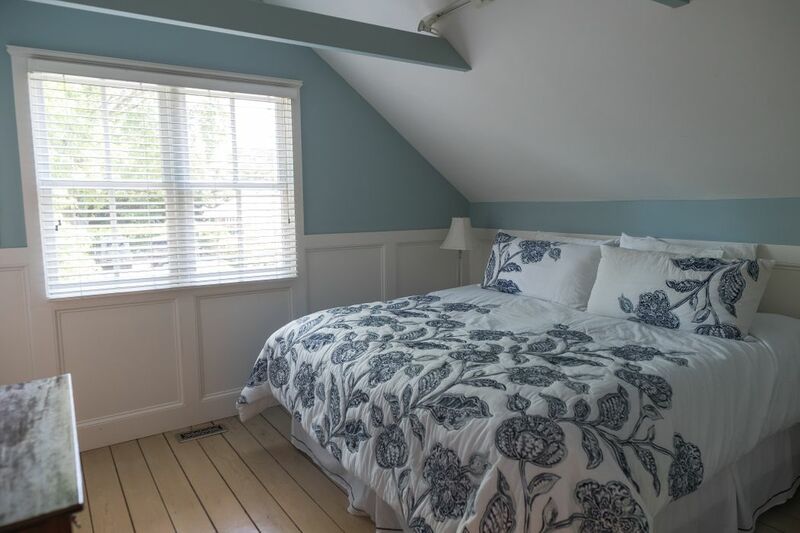 ft.
Minutes from the town and everything the village has to offer, this spacious gem sits on one of the best lanes in the Village of East Hampton. 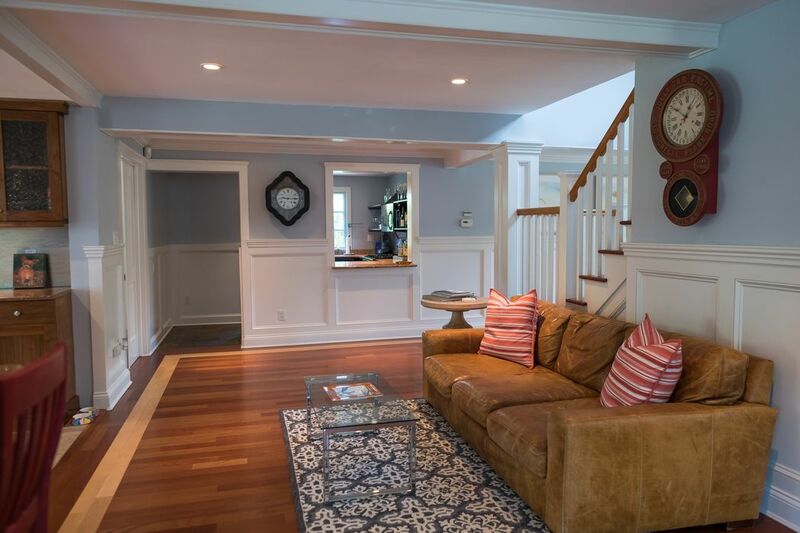 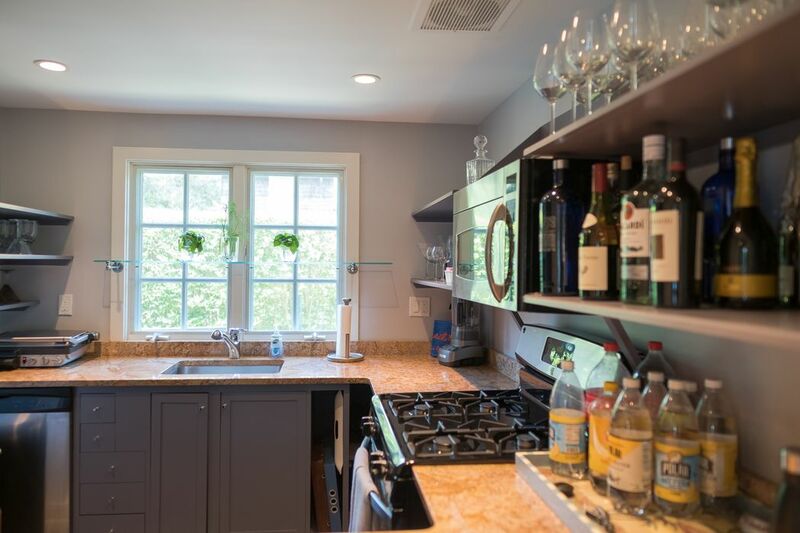 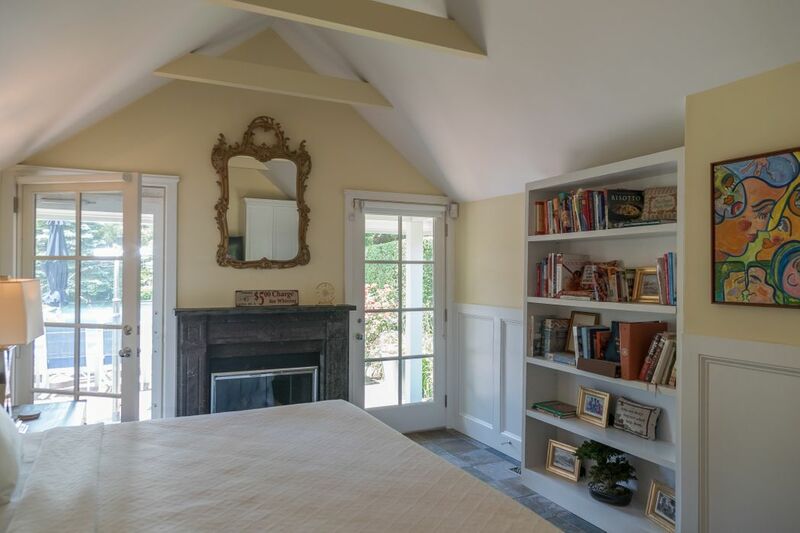 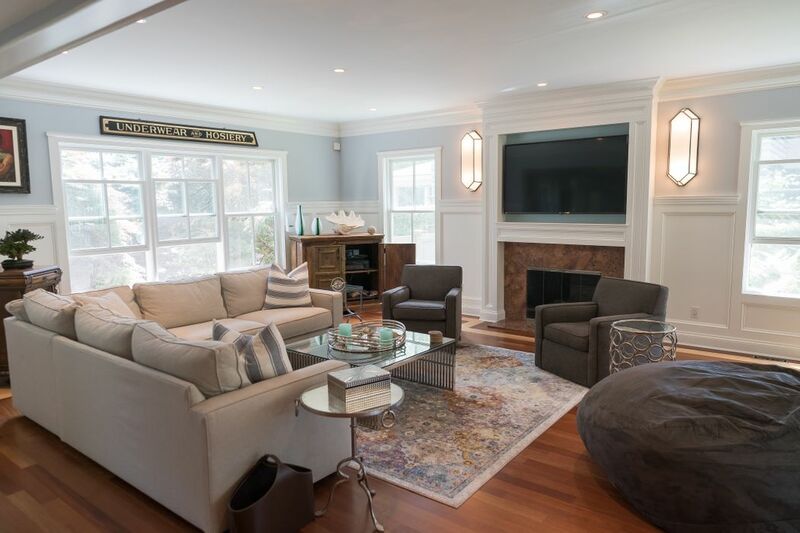 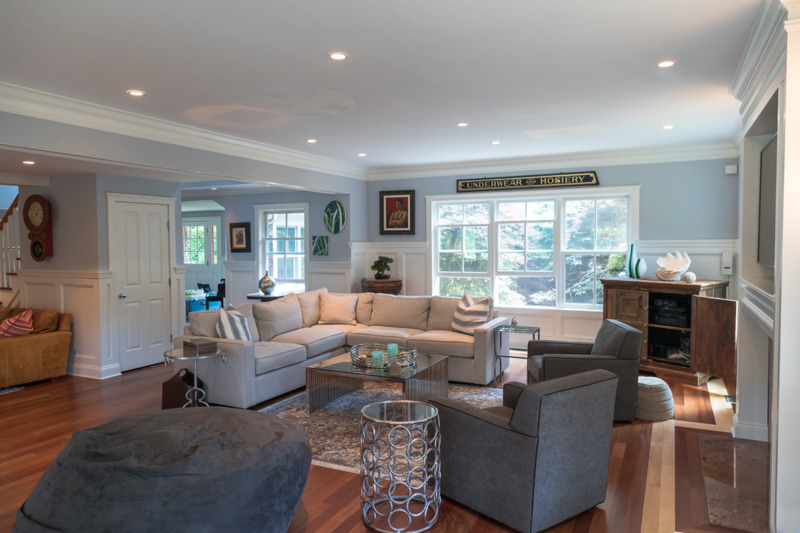 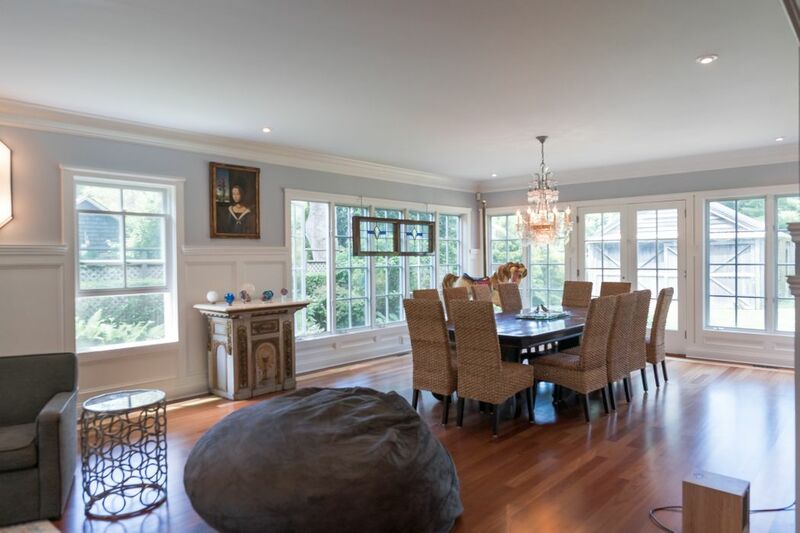 Recently renovated with great entertaining in mind, the large open layout provides ample room for friends and family. 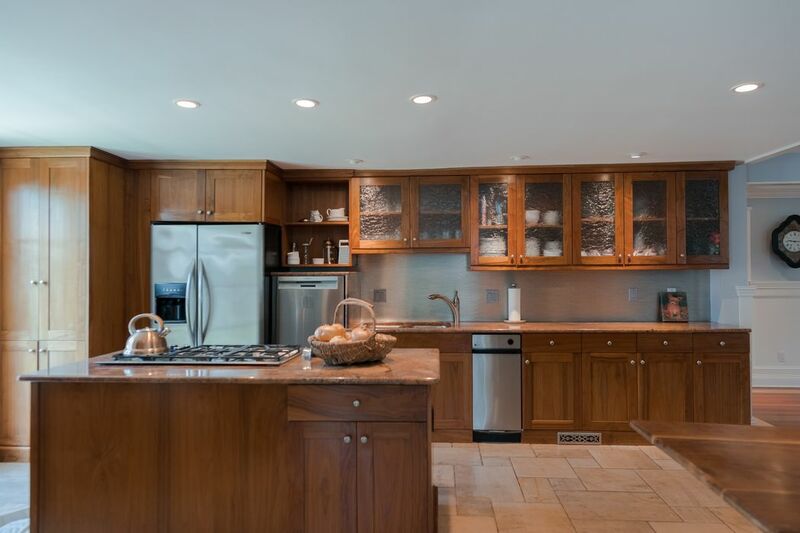 There is a chef's kitchen as well as French doors that open to the back patio and onto the pool area. 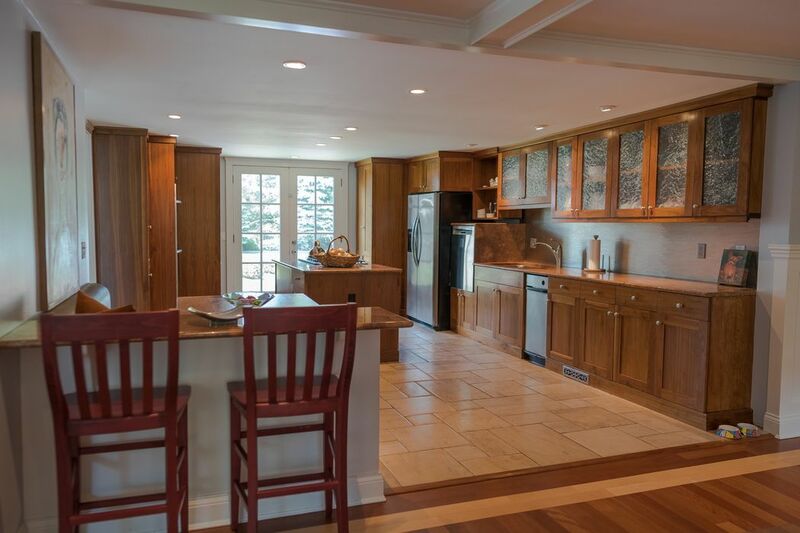 The floors throughout the house are Brazilian cherry with birch outlines. 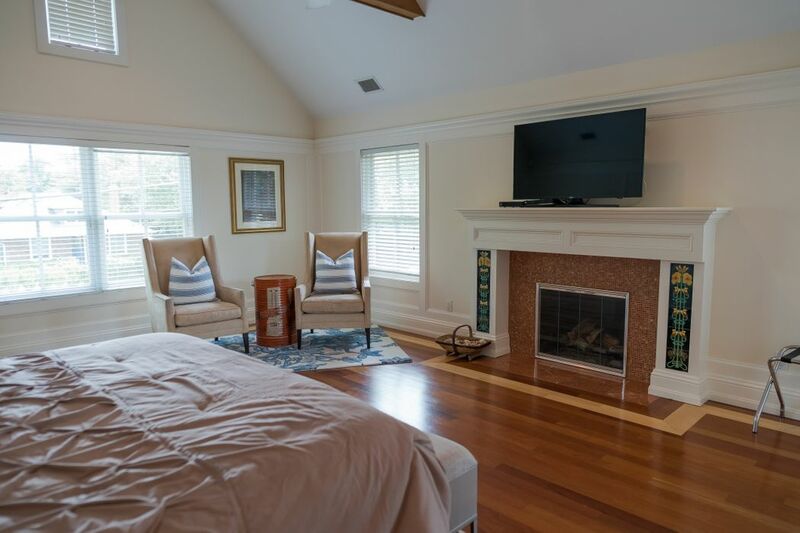 There are four bedrooms, four baths, two half baths and three fireplaces. 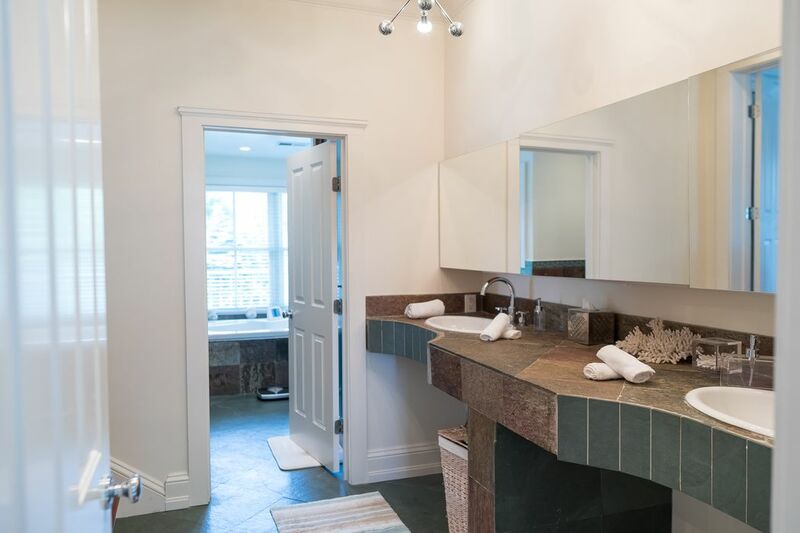 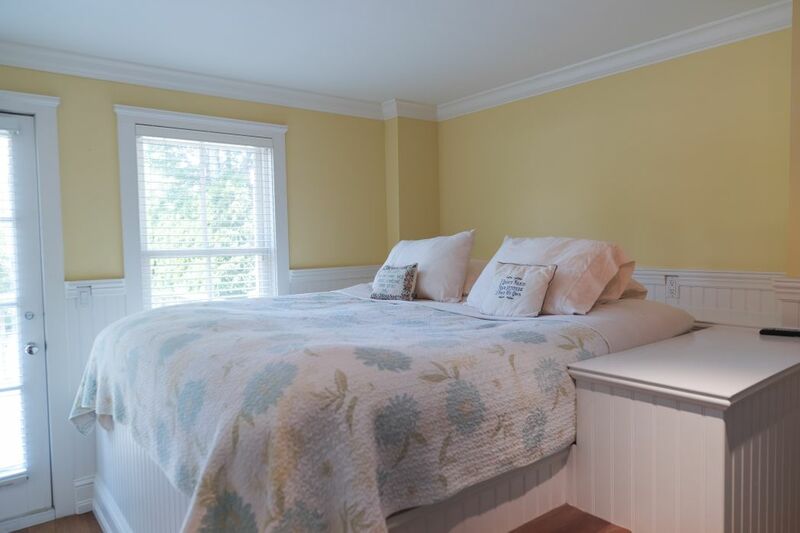 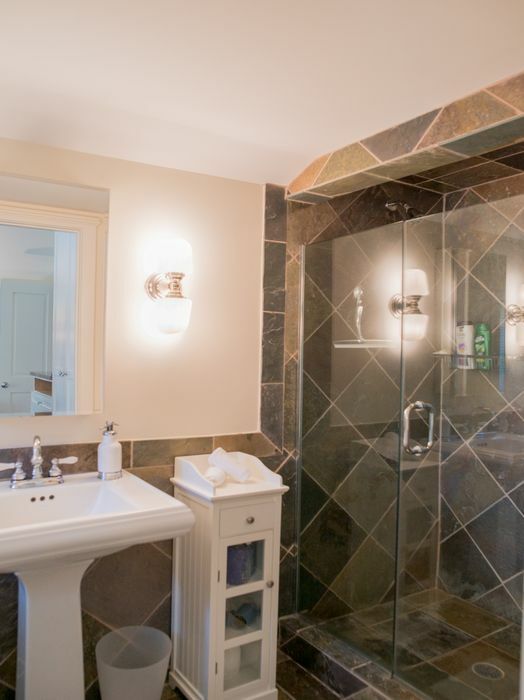 The large master suite is in its own wing and has a sitting room with wet bar and a luxurious bathroom with Jacuzzi and a separate steam shower. 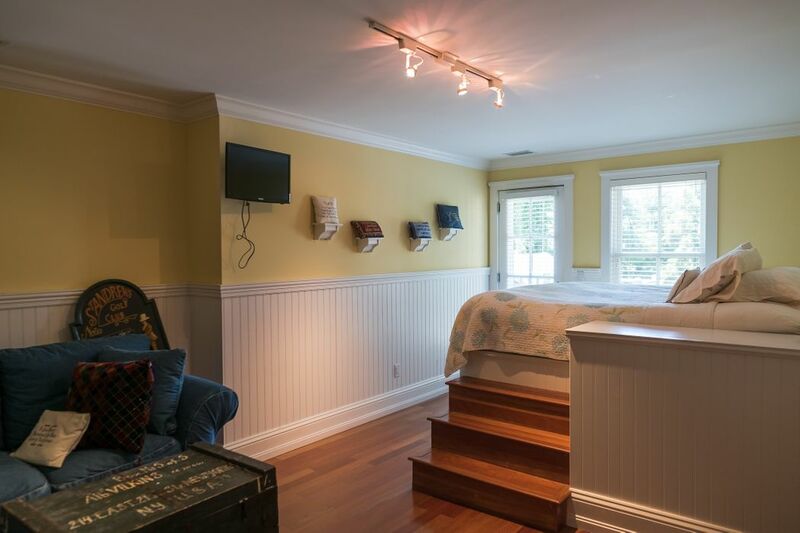 Additionally, there is a partially finished lower level. 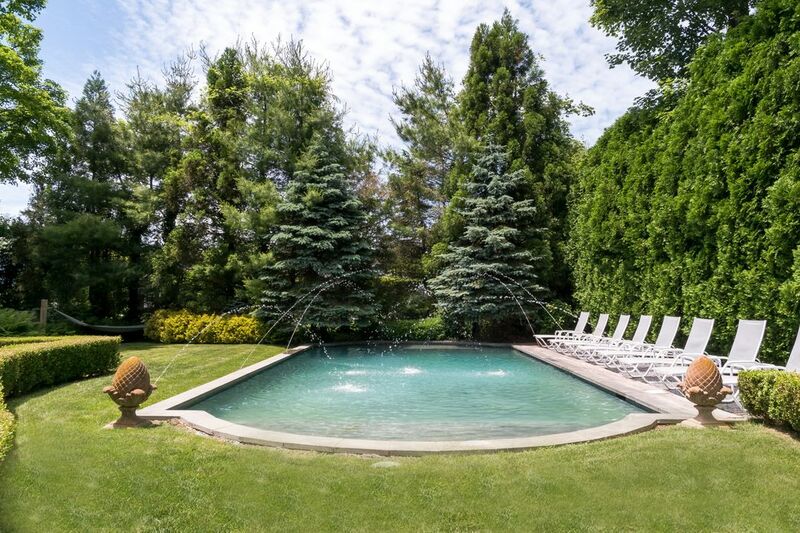 A heated pool with fountains surrounded by luscious landscaping and a pool house with a half bath complete this summer oasis. 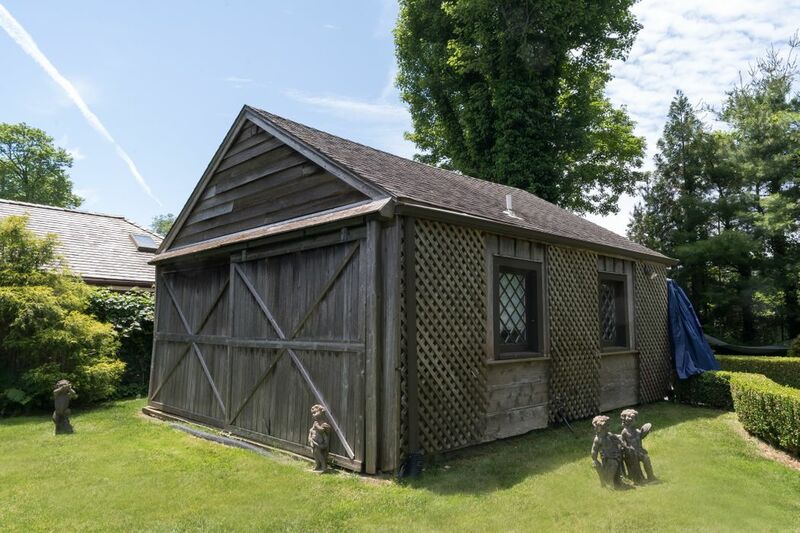 Also available Off Season for $6,000 month, with three month minimum.